Hey ya'll. 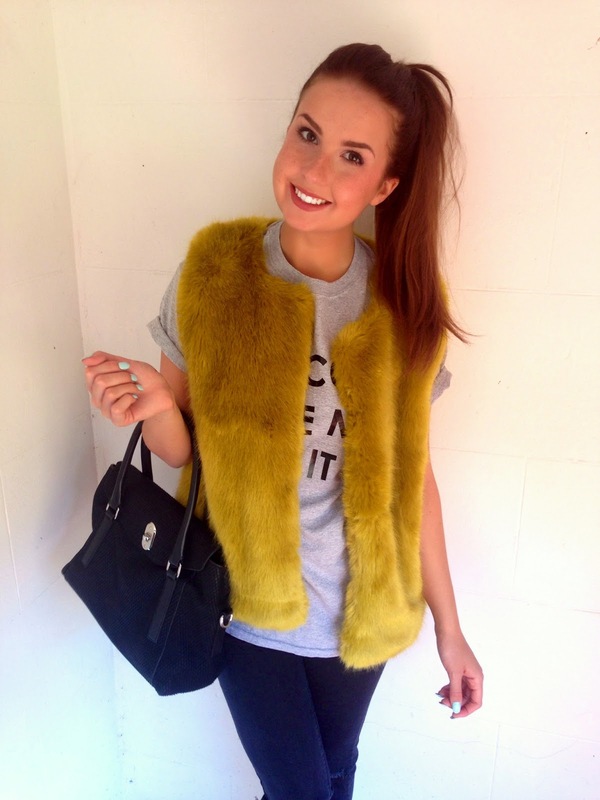 I am so happy that I am getting to show off my gorgeous fur gilet. It's green, acid,emerald,jewel,grinch,leaf coloured. Whatever green you think it is, It is bright!. As it's super thick and soft its perfect with something light underneath, like the t-shirt I put with it. 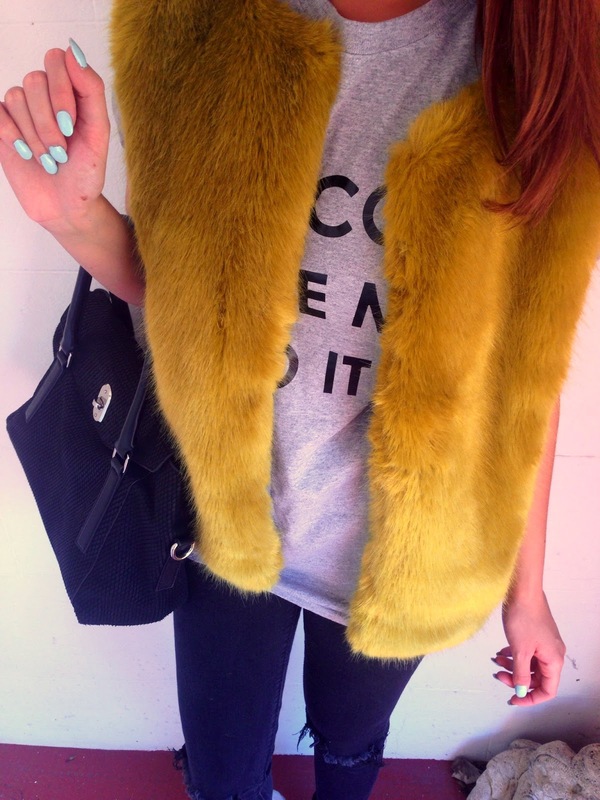 I know some of you may see this as maybe more autumn/winter kinda fur but I do differ. It is perfect in winter for more a glam kinda fur look but the reason I am still pulling this out in theee old spring/ summer months is the fact I live in Scotland. Believe it or not we actually only get a few days of sun. I know shocking right!? Therefor no matter what I want to wear, even if it has a hint of skin showing then I need to put something on top. Which is why the green envy of fur is just perfect. I had my eye on it for a while so was really chuffed I got it for Christmas. 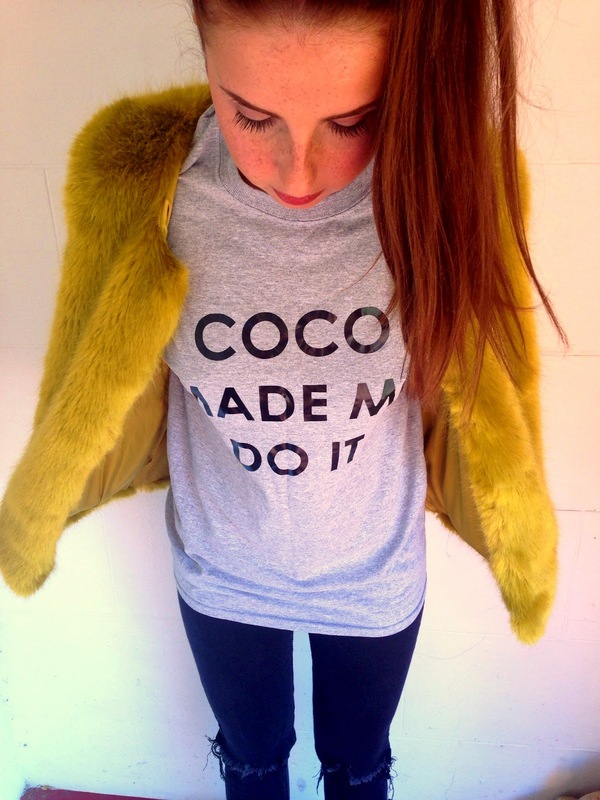 It was bought from Topshop and they done the same in a grey version too. Think this retailed at £60 ish. 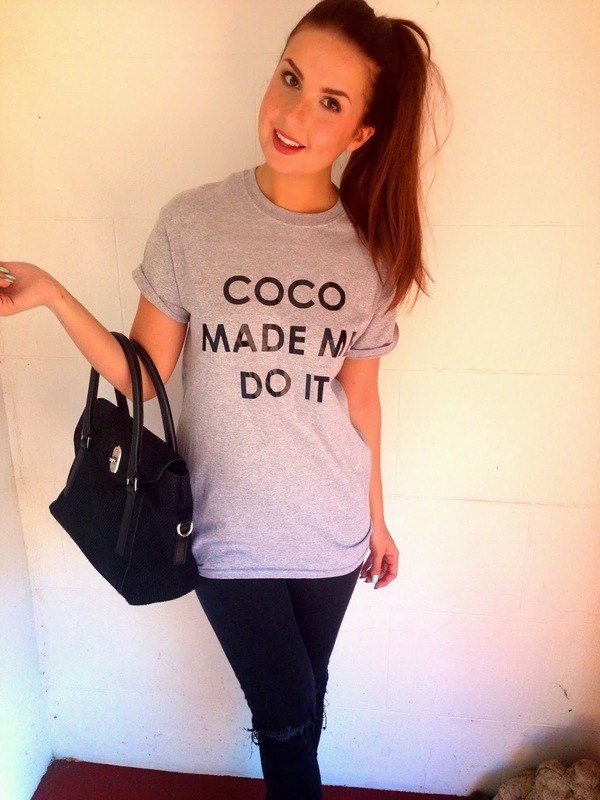 My t-shirt is a cute one and as I get called coco most places I go, it seems appropriate. 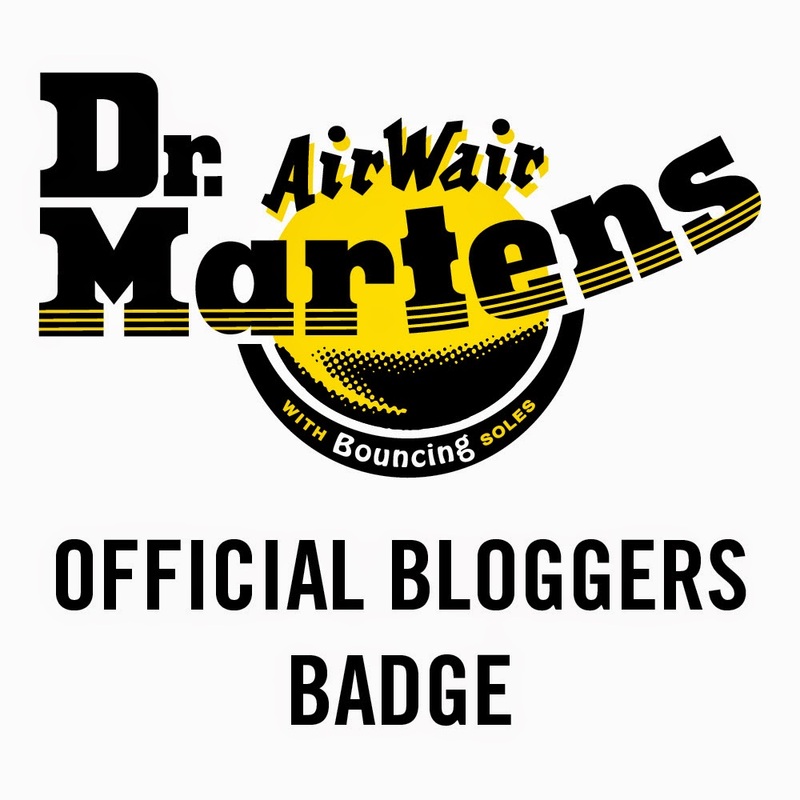 Hence the name of the blog. I picked this up from Ebay for less than a tenner so its a little bargain. My jeans were a handy £7 pair from Primark and I got into them with my scissors. Too be honest I am not sure if this is blogger hell or not since I am new but they might have a few features for the next while since I am loving everything hobo/ripped look! 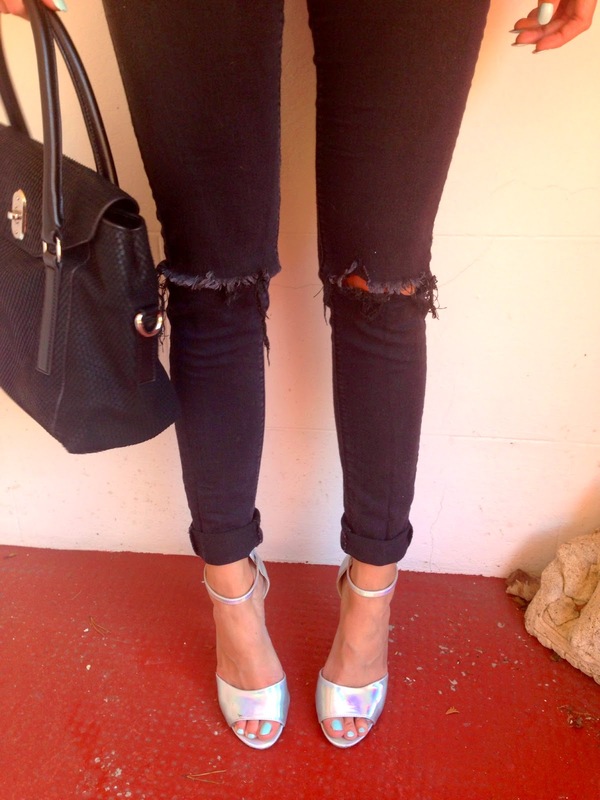 My AMAZING holographic heels were also from Topshop. I think these were originally £45 but I managed to get them in the sale for £15!!! I know right!! I was buzzing when I found them hidden away in one of the Glasgow stores. Anything holographic is a must and if you manage to get your hands on anything then deffo buy it. You can resell them on for a fortune or you will look amazing with whatever it is on. Last but not least my to die for Karen Millen snake print type printy thing bag. Stunning, designer, dreamy, gorgeous, lovely, dreamy x2 are just some of my thoughts for this bag. It may just be your normal black bag to you gals but for me this made an amazing arrival into my wardrobe. This was also a gift which I was very lucky to be given and it is my bag of time right now. 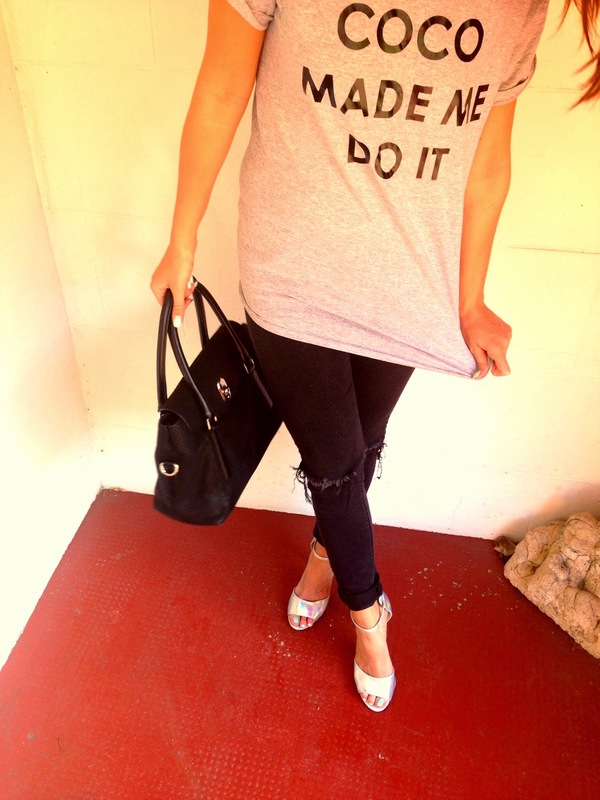 Goes with everything, can wear it to work/drinks/anywhere in the world. No idea what this retailed at but was roughly £225 but don't quote me. This whole look for me is quite understated and I feel this is a safe outfit for me BUT pushing boundaries in an easy way. 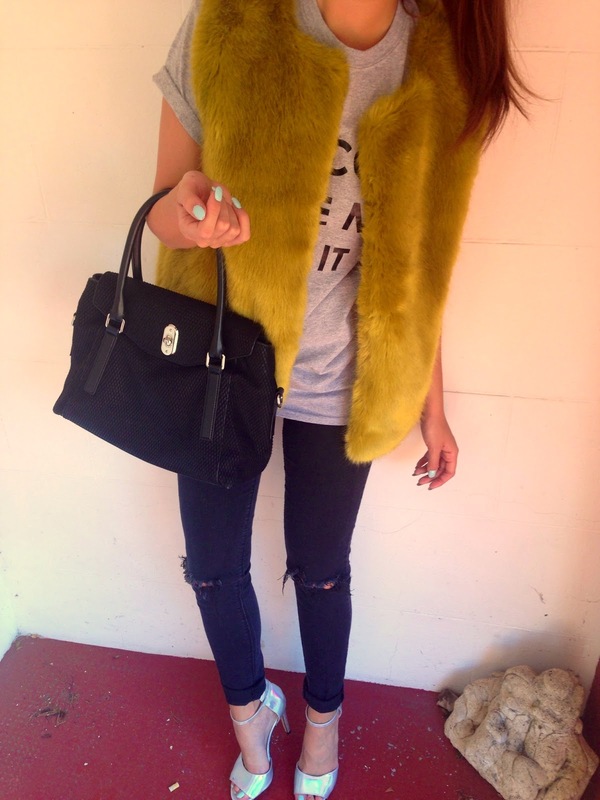 The fur alows you to make a statement but if your unsure you can cosy behind it. 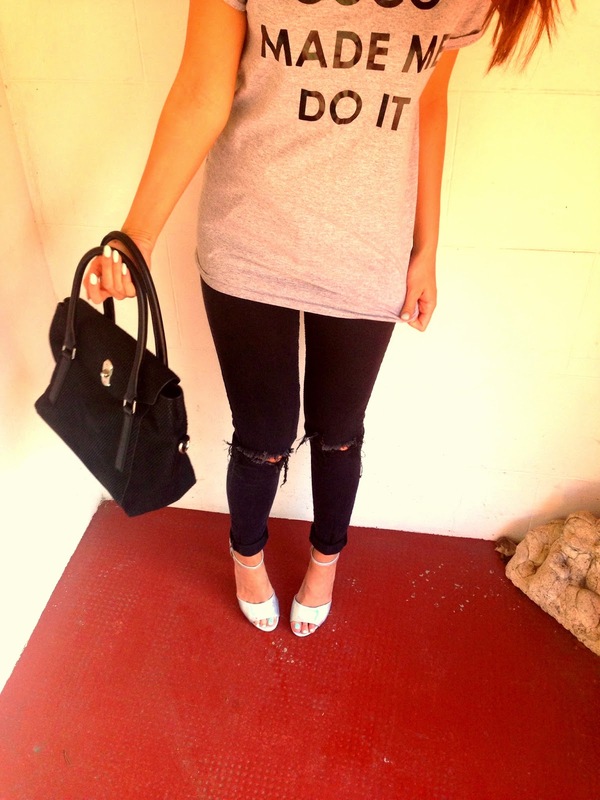 The shoes make your feet pop and a little statement T never goes a miss. Be experimental and try put things together. You will be surprised how it can turn out!